Diversity of Families - This lesson teaches students to make connections to different types of families in the classroom. 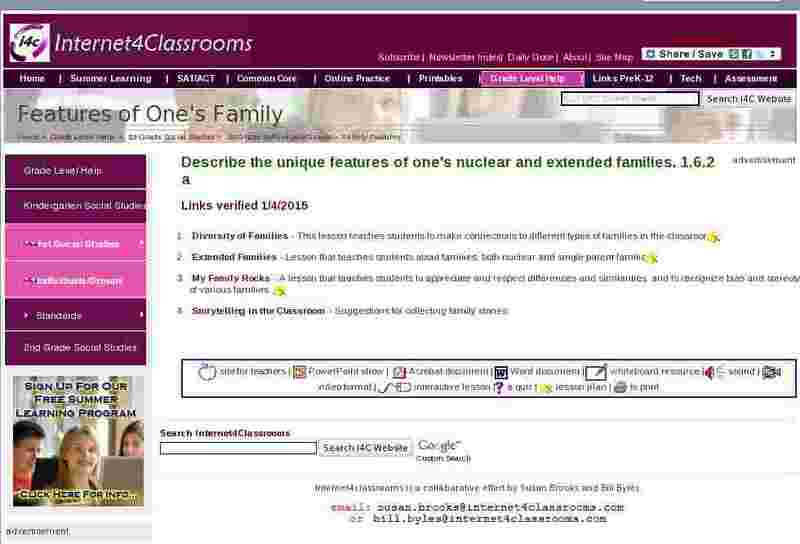 Extended Families - Lesson that teaches students about families, both nuclear and single parent families. My Family Rocks - A lesson that teaches students to appreciate and respect differences and similarities, and to recognize bias and stereotypes of various families. Storytelling in the Classroom - Suggestions for collecting family stories.